697 500 Kč tax excl. 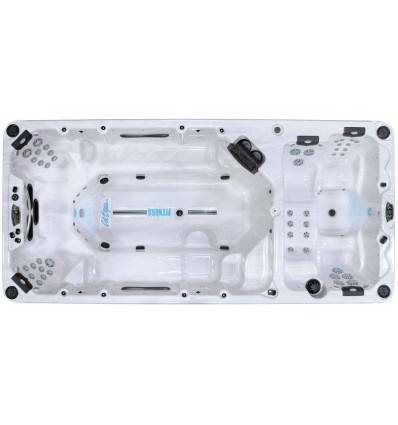 Discover Unforgettable Contribution to your health and fitness spa pool Swim Fitness F1770 US company Cal Spas. The huge pool has a Separate section for swimming against the flow and the part for relaxation and hydromassage hot tub. F1770 has Everything you need for training and recreation. 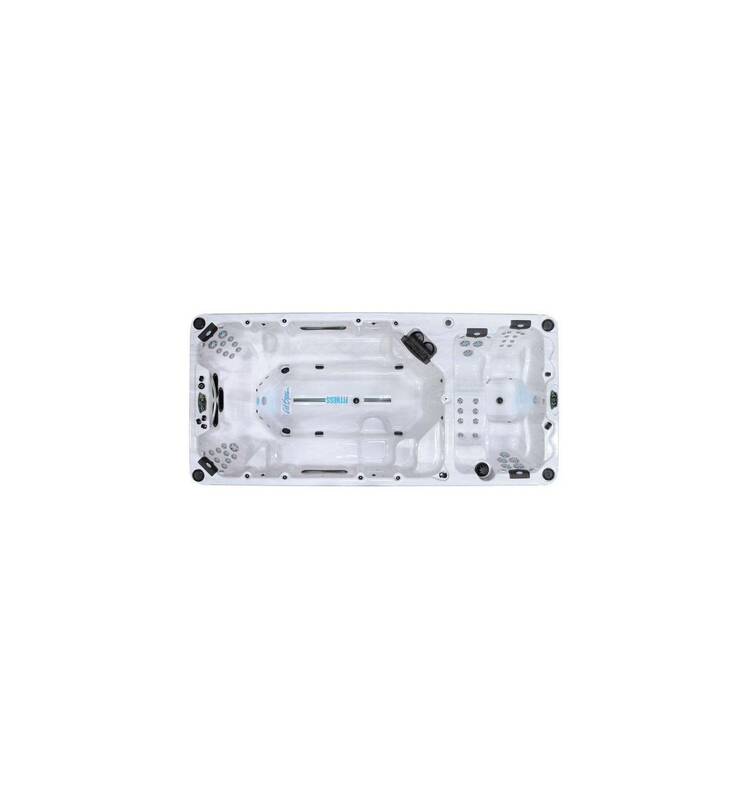 Treat yourself to a combination of the hot tub and pool with powerful counter flow without alterations. Thanks to the Swim Spa is no need to Decide Whether you get a pool or hot tub, this set Gives you the Advantages of both products in one. In the pool area with a counter and a swim in the whirl of relaxes . Both pools have Separate controls. Swim Spa can be Installed indoors and outdoors. Swim Spa can be Partially or Completely built into the ground or Freely Positioned on the prepared surface without a building permit. Swim Spa is designed to the operate all year round as well as a jacuzzi. Get a modern version of the pool, you'll finally be Able to enjoy all year round! The three-jet system offers swimmers a resistance setting When swimming. If the nozzles are directed downward, the resistance decreases When going up, resistance is Greater.